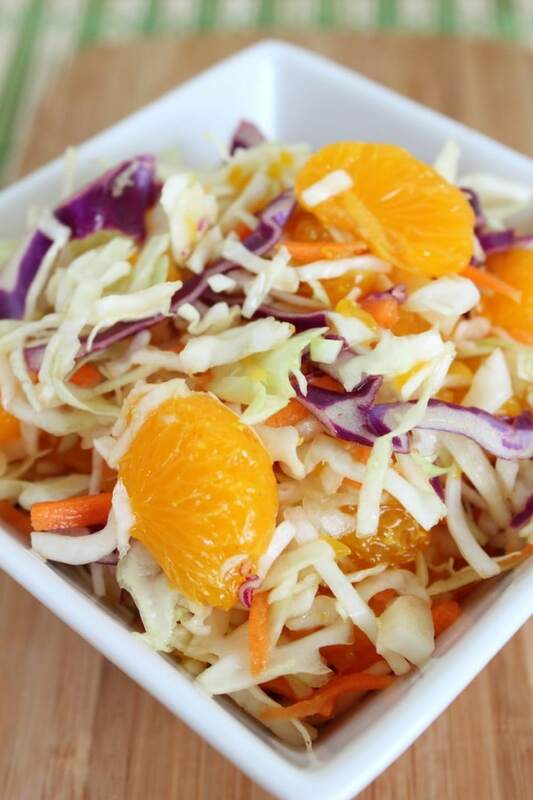 This Summer Citrus Asian Coleslaw Recipe requires quite a few ingredients – I am not going to lie. But the taste is THERE and the effort is so worth it. In the end, we are exactly COOKING anything. We are just sort of mixing and spinning. So, it’s not a HARD salad to put together. It’s just a bit of an effort to find everything you need once you decide that you want to make this side dish. But here’s the thing. I love the taste of Asian cuisine. I can’t get enough of Asian themed salads, main courses and side dishes. There’s just something about that flavor profile. So, to me, this is well worth the effort. 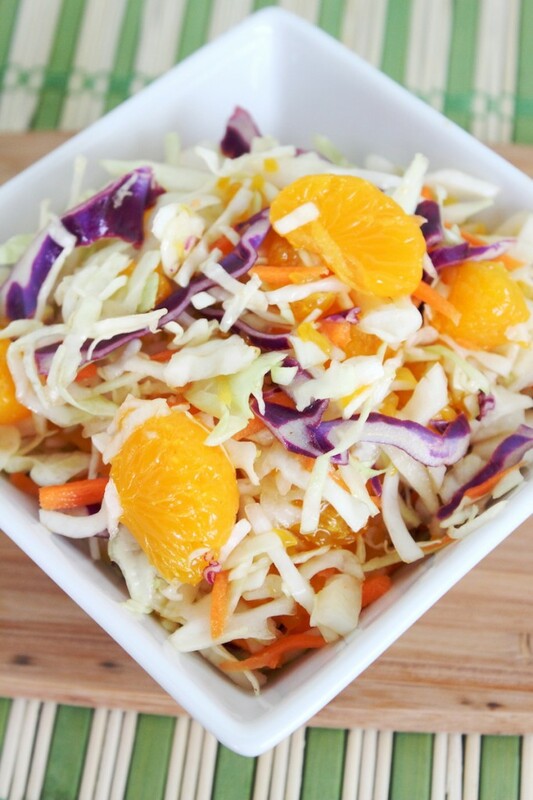 My Summer Citrus Asian Coleslaw recipe is delicious and I’m sharing it with you just in time for BBQ season. We FINALLY had our first cookout yesterday and BOY was it GOOD. I have a few more side dishes coming up over the next week or so. But I had to start with this one. Yum and Yum! 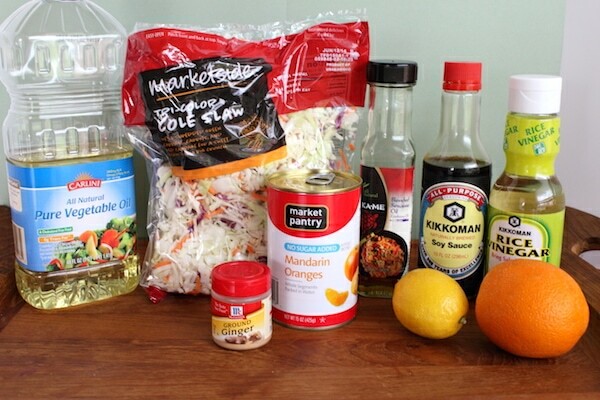 In a small bowl whisk together the Oils, Vinegar, Ginger, Orange juice, Lemon juice, Lemon zest, and Soy Sauce. Adjust Vinegar and Soy Sauce to taste. 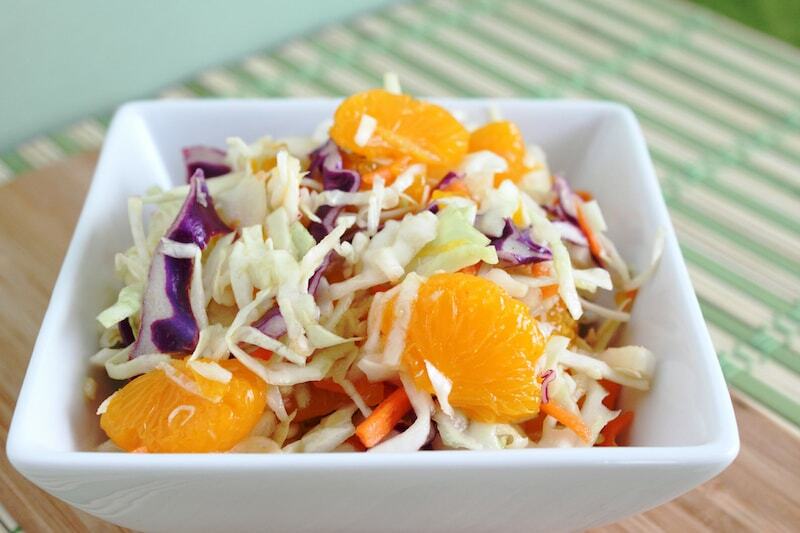 In a large bowl add Cole Slaw mix and Orange Slices, pour dressing over the top and toss to coat. Refrigerate at least 45 minutes. **This is also very good with slivered almonds added. In a small bowl whisk together the Oils, Vinegar, Ginger, Orange juice, Lemon juice, Lemon zest and Soy Sauce. Adjust Vinegar and Soy Sauce to taste. I want to try and make this for a big family gathering on the 4th of July – any idea how many servings this would make? I have 17 (!!!) adults to feed, wondering if I should double or triple the amounts. Thanks!